Estate planning enables individuals to not only have greater control over their assets at death, but to manage their financial affairs to their best advantage while living. 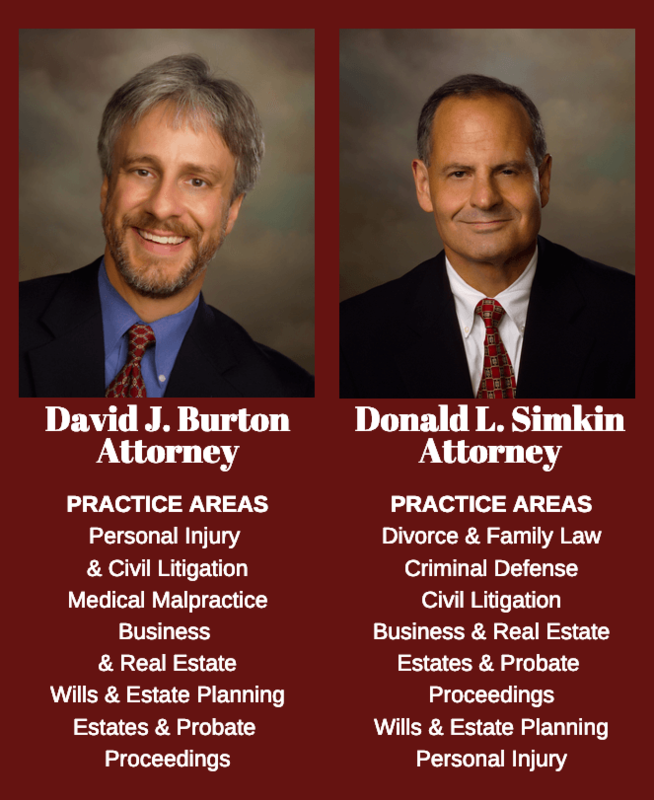 Is the lawyer experienced in estate planning and wills? Will the lawyer be handling your case personally? Have you been treated with courtesy by members of the lawyer's staff? Burton & Simkin Estate Planning Lawyers: Helping People Wisely Manage Hard Earned Assets is a Gratifying Part of Our Practice. How will your estate be divided? Who will raise your minor children if you die? Can you organize your financial assets to shelter them from taxes when you are older or reduce the tax burden to your heirs. At Burton & Simkin, we routinely help clients solve these and other estate planning issues.